Okay, well, I ate some of it. 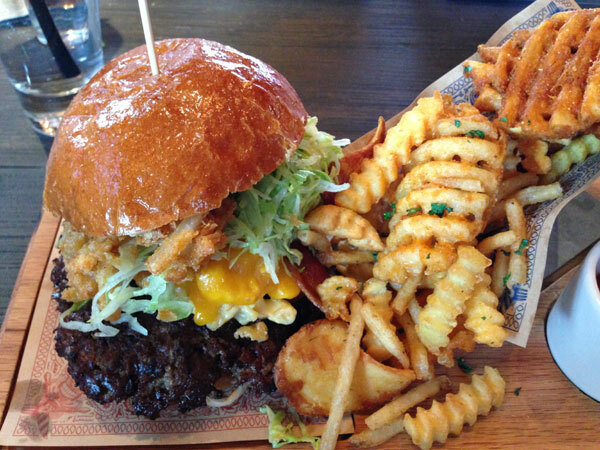 The “It” in question is a bacon mac and cheese burger, one of the signature items at the new Guy Fieri’s Vegas Kitchen restaurant. I was both horrified and totally happy. In the morning, before I ate this, I made it up to 37 sit ups, 95 stomach crunches, 37 leg lifts, and 1:40 plank. Yes, even in Vegas.